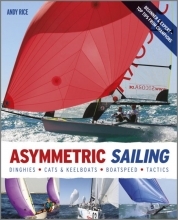 Get the most of your dinghy or sportsboat with Asymmetric Sailing. There`s expert advice from the world`s best sailors on how to rig, tune and race. A wealth of colour photography and illustrations shows you how to put the theory into practice.